Joseph Mallozzi's Weblog: July 21, 2011: Oatmeal Teal’c! Again with the meetings! 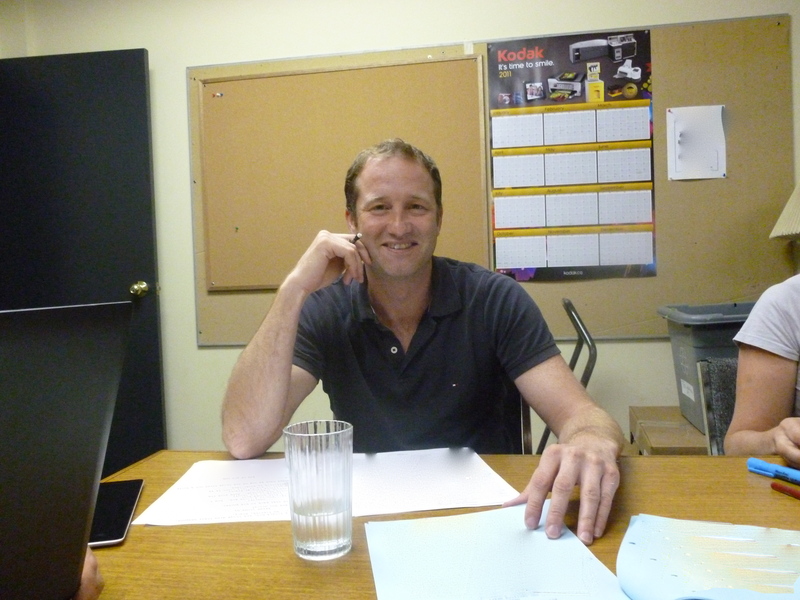 Surprise guest star – Martin Gero! Mailbag! July 21, 2011: Oatmeal Teal’c! Again with the meetings! 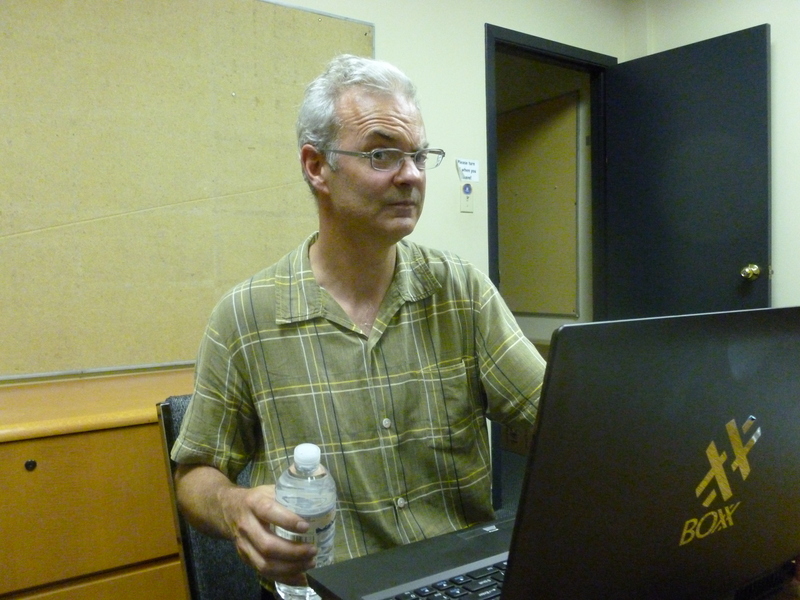 Surprise guest star – Martin Gero! Mailbag! Hey, check it out! 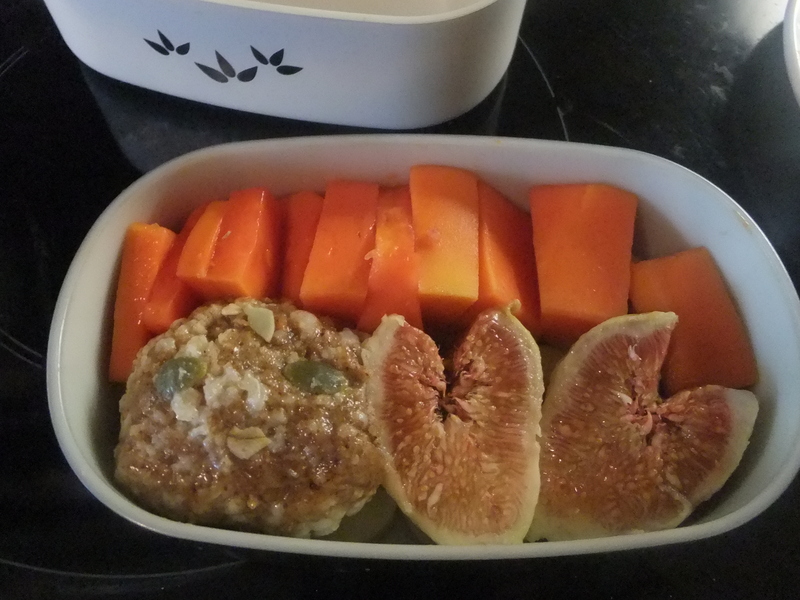 Look at what was in my Happy Panda bento box the other day: oatmeal Teal’c! 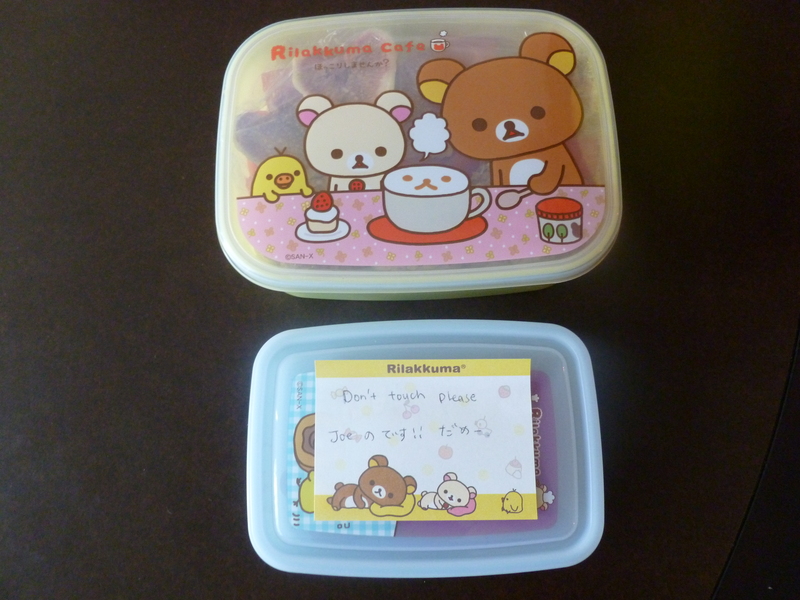 Oatmeal and fruit in the top Rilakkuma container. Chocolates in the lower one with the message: "Don't touch please" and, in Japanese "This is Joe's". 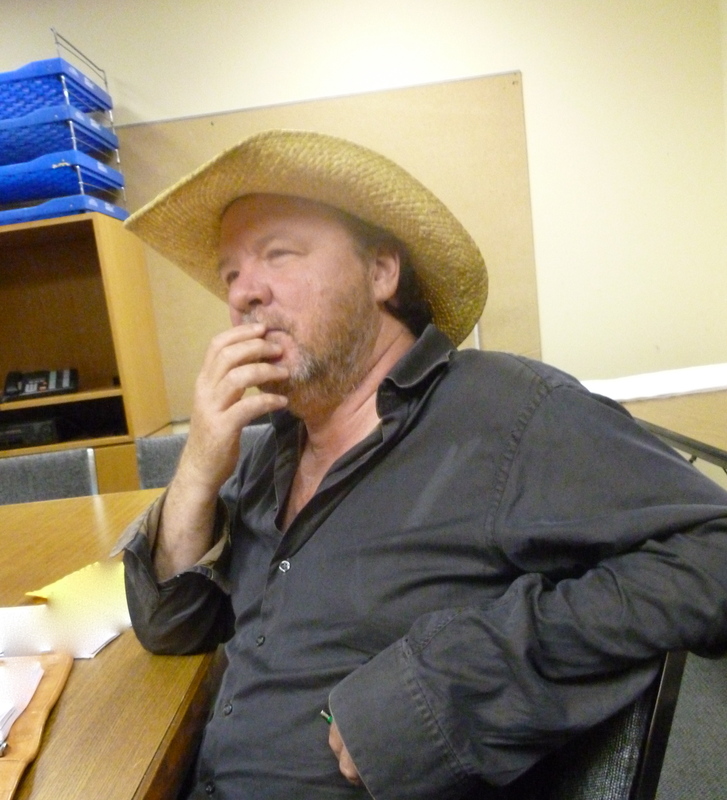 Director Bruce McDonald ponders his next move. Steadicam? Dolly? Nope. Let's call lunch. Tim Bider still hasn't forgiven me for referring to him as Time Binder. Stephanie and Patrick enjoy nothing more than a 5:30 p.m. Playback meeting. 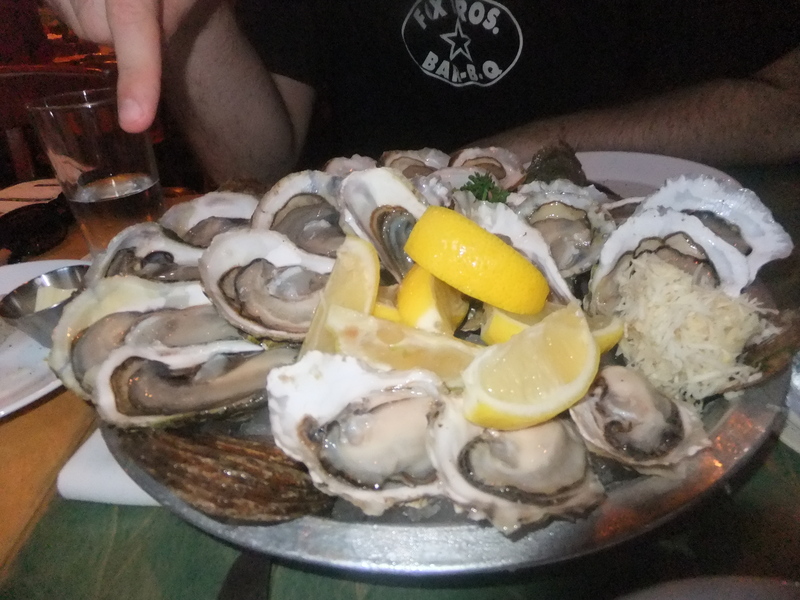 Oysters to start. Then steam lobster and hot smoked salmon. They took the oyster po'booys off the menu so we ordered fried oysters, got an extra bread basket, a side of mayo, and made our own. 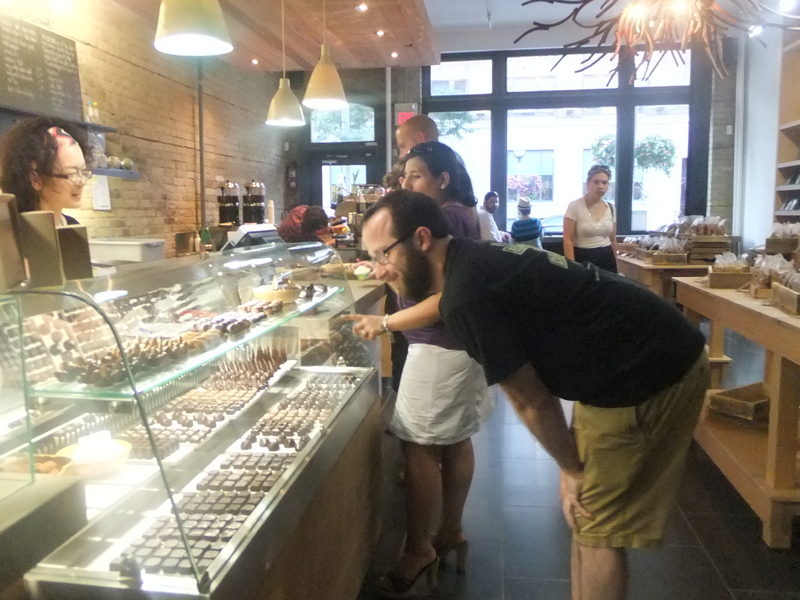 And, on the way back, we went to Soma for chocolates and ice cream. Today’s entry is dedicated to long-time regular Kelly Hurt. Answer: Alas, we just started shooting and will be in production straight through the November. No Comic Con presence this year. I’ll hopefully be going next year to talk Dark Matter and pick up some Randy Bowen statues. Answer: First of all, MGM didn’t force any issue. SyFy did when they canceled the show. The prospect of direct to dvd movies have been an iffy prospect for quite some time and the alternative, simply producing a movie for broadcast, didn’t make financial sense. Also, you bandy about facts like you actually know what you’re talking about with regard to the cancellation which, I’m sorry to say, you aren’t. Sorry if that offends. You can certainly feel free to make assumptions, but don’t kick ’em around as truths. Answer: Really? Under what circumstances? Are you privy to how much they would have been willing to pay to make this reality or is this sort of a “Hey, if you’re giving movies away, we’ll take one!” situation? Hell, if there were some produced movies lying around for the taking, I’m sure they wouldn’t be the only one in line. Answer: Nope. My not-so-crazy idea is to move ME back to Vancouver. Answer: Not sure they do. From what I hear, Once Upon A Time (Robert Carlyle’s new show) has moved into our old production offices. Also, heard from Michael Shanks and he is shooting a film in Stages 5 and 6, the former homes of Stargate Command and Atlantis. Answer: I’m holding off on the next stem cell treatment. Jelly is doing great, even pulling off a wobbly hallway run on occasion. Maximus seems to be under the weather. Treats no longer excite him and he takes forever to walk anywhere. I’m bringing him to the vet Saturday to get checked out. As for Bubba and Lulu – still troublemakers. Answer: I have no doubt The Transporter will be great and that the show will get that second season pick-up – and a third, fourth, and fifth. There are a lot of very talented people on this production and I’m sure they’re in for a nice, long five-year run. Answer: I didn’t! Alex had Trevor take the picture. The jerks. Answer: Almost every day since my arrival. Answer: Nope. All of the writers gave input on every script, providing notes on everything from plotting to dialogue. Previous Article July 20, 2011: Voting Irregularities (Just sayin’)! Bubba’s Beach Bod! Transporter Production Update! Mailbag! Next Article July 22, 2011: Poor Maximus! Akemi and Mega gift exchange! 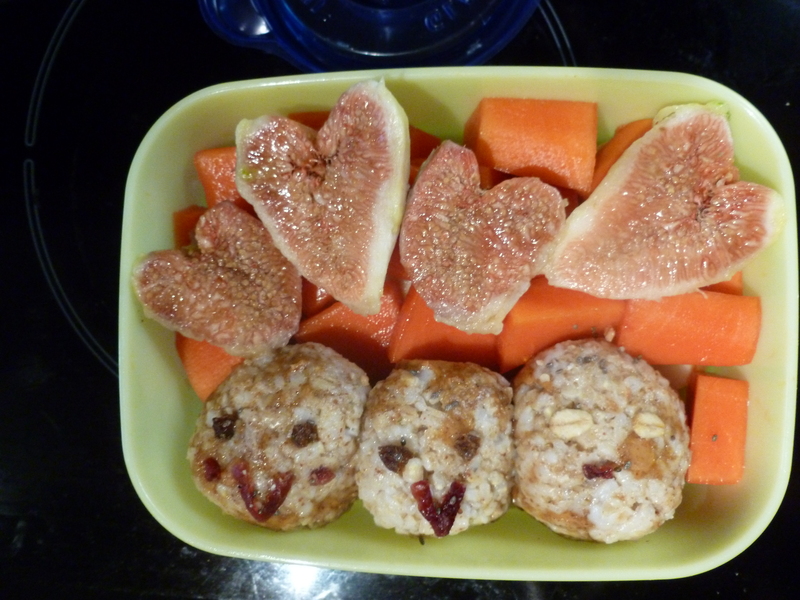 This is great–bento box pictures and dinner pictures!! That will have to sustain me for the next week or so. Our internet is being turned off tomorrow, and the furniture is going on the truck on Saturday. Sunday will start our journey across the United States. We’re excited for the new beginning this is providing us. Looking forward to catching up when we get to SD. Three more days until we leave!! Thanks to profmadmax and others who have sent good wishes. @AnneTeldy/Kelly: If you are out there lurking, my heart is breaking for you. Thanks @fortheloveofbeckett for letting us know. That would be cool if you were at ComicCon next year. I’m shooting to be able to go as a goal for next year and would love to finally meet you. The oatmeal Teal’c is very funny, it seems a lot of work on the bento. You see, that Trevor knows you won’t fire him now. With a baby on the way, and you being crazy busy with The Transporter production, he knows you can’t afford to let him go. He’s safe for now. Oh he’s a smart one! Next thing you know, he’ll be eating crispy duck at lunch, imported from Refuel, and refuse to share with you. He’s one cool customer! @ Kelly Hurt (Major Anne Teldy) – Very sorry about the loss of your father. You and family are in my prayers. @Kelly Hurt (Anne Teldy): So sorry to hear of your loss. May your solace come from heaven. Hi guys, prayers needed here tonight too, Elway’s in the ER with seizures (he went a whole 7 months without) and they’ve also discovered a deep mass in his shoulder which they want to aspirate tomorrow. Okay so again, does that mean you absolutely do not have any interest in continuing with the series? What about your partner? Or is it just up in the air. It sounds like you have decided. I know you are home sick, and I am sure something else will pop up fast, I just worry about anyone willingly leaving solid employment! LOL and admire them the courage to do it! Very sorry to hear of your lose and your continued fight with your own condition. Please do holler at us from time to time. Keep us in line, Ma’am Sir, Major Teldy!!! Joe, It does not take too much to confuse me any more. So….your crazy idea is move you to Vancouver. And, you have done some toe tapping dance steps around you will be in Vancouver, by year’s end or next year, etc. Now…can you share if you will be working on Transporter remotely? Or, can you share what you are planning? Enquiring – well, to be honest, nosey minds want to know. And, if you can’t share yet….we wait with baited breath for each hint and clue you drop. Oh…some chocolate would be cool too! Derrrr, typo demons – bad fingers. Sorry to hear of your loss….sigh. I missed the good news about where your hubby’s new job is and what he’ll be doing. Safe journey and try to have fun along the way. Collect some good stories to tell us! Prayers for Elway, that they get him stabilized and the path results tomorrow are benign. Have you made a decision about your Transporter involvement next year? Hope Maximus checks out OK. All of your pugs have personalities, and he is just too cool for the room. He seems like the most laid-back of the bunch. Hugs for them all. Could we see some Bubba mischief one day? Hang in there, hon.’ Give yourself lots of breathing space. Just take things one hour at a time. We love ya! Sorry to hear your news Anne Teldy. Joe, I didn’t know you knew Joaquin Phoenix. @Kelly @Deni – ((hugs)) and prayers. Today in Vancouver we got like half a day of sun and was up around 18 degrees. I had to roll down the windows on my car when i was driving, it was horrible!! Syfy has gone pretty downhill since Stargate’s been pulled. They’ve become very cookie cutter in their shows using the same formula over and over. They have three shows airing right now that are all pretty much the same. Their lack of originality is going to pay a big price in the long run. Anne Teldy: I’m so sorry for your loss. You will be in my prayers. fortheloveofbeckett: Thank you so much for letting us know. Mr. M.: I hope the news is good with Maximus. Oh and the ice cream picture was probably payback for Euphemis . Deni: prayers to Elway too. Those Bento’s are so pretty and yummy looking. Good luck on your move, Lisa R! Kelly/Anne Teldy: So sorry for your loss! We’ll be thinking of you and your family. Deni: Poor Elway. I hope he doesn’t have too much discomfort. love the bento box thing. And curious about your kind response to my comment. You said “they’re in for a nice five year run”. They? Something yuou are trying to tell us? Or that you already have? I had assumed up to now that a return to Vancouver at the end of filming was a between seasons move. Are you suggesting it will be premanant? Again, just curious. Postings appreciated and make sure to treat Akemi to something extra special for the crafsmanship she puts into your lunches. Has there been an announcement as to which network Transporter TS will air in the US? I’ve seen HBO and Cinemax mentioned, but don’t know if that’s perhaps an “in association with” scenario? Happy Friday. It’s already 90* @ 8AM in NJ. It’s gonna be a hot one. @Deni: Sending prayers for Elway (and you all) and hope the aspiration procedure goes well. @Kelly … hugs and healing. @ Joe – I hope all is well with Maximus. Maybe he’s jealous of Bubba’s new svelte physique. Also…can Akemi make a Todd bento box? A little green food coloring in the oatmeal – or maybe a slice of honeydew melon – golden raisins for the eyes…something white…maybe slices of banana or egg white for his hair…whatcha think? 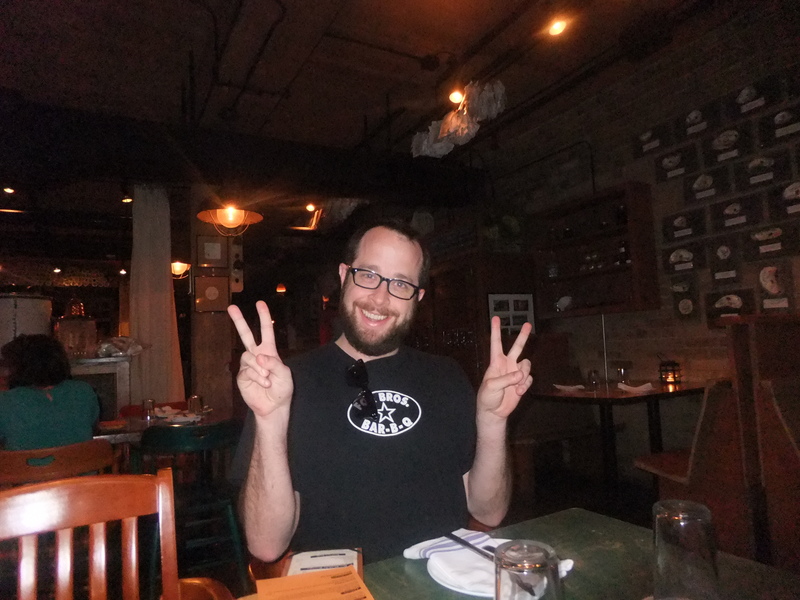 And lastly, that Patrick fella…Is he the new Carl Binder of blog photos, or what?! @ JimFromJersey – We’ve been pretty fortunate down here at the shore – looks like today will be the first really bad one. The air is just so thick! Last weekend was so beautiful here – even cool – and all week we’ve had a decent sea breeze that has kept temps moderate. But today I’m not sure it will help, the humidity is smothering and it’s simply roasting outside! And we need rain SOOOOO bad! The storms that hit most of Jersey earlier this week fizzled before getting to us, so we are bone dry down here. Hazy, hot and humid, no rain, and non-stop cicadas…yeah, I’m pretty much done with summer. But happy to see that Stargate Universe did win the series award. VERY AWESOME!!! And yes you coming back to Vancouver would be AWESOME!!!!! Wait. 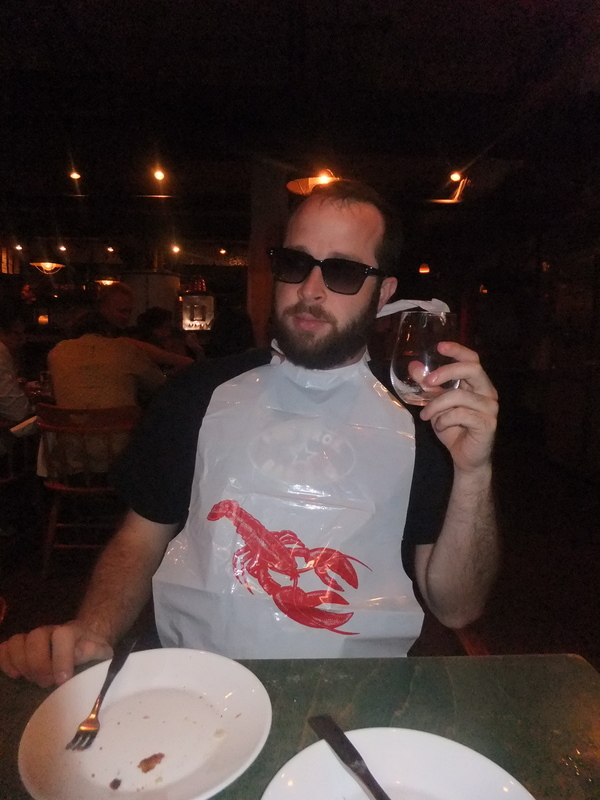 Joe, I just realized you had a mailbag and didn’t address my suggestion to come to the shore. You gotta come down…you have a connection here! I mean…you and me, and our childhood! We probably watched Jaws together in the same movie theater! You may have stayed at one of my sister’s in-laws motels! You probably swam in the same water as me (you remember that warm spot, doncha?? )! Maybe you were even the kid I saw puking his guts up after a ride on the Himalaya! Don’t you want to relive all of that? PS…I hope that didn’t set off any creepy ‘maybe I should get that restraining order now’ alarms. Honestly joe I feel sorry for you why can’t people just let stargate go. it was a succesfull series for mgm just like startrek it needs a break for a couple of years then they will start up again with something fresh. Ps hope maximus feels better hopefully he’s just feeling the dog days of summer and the heat is just getting him down.